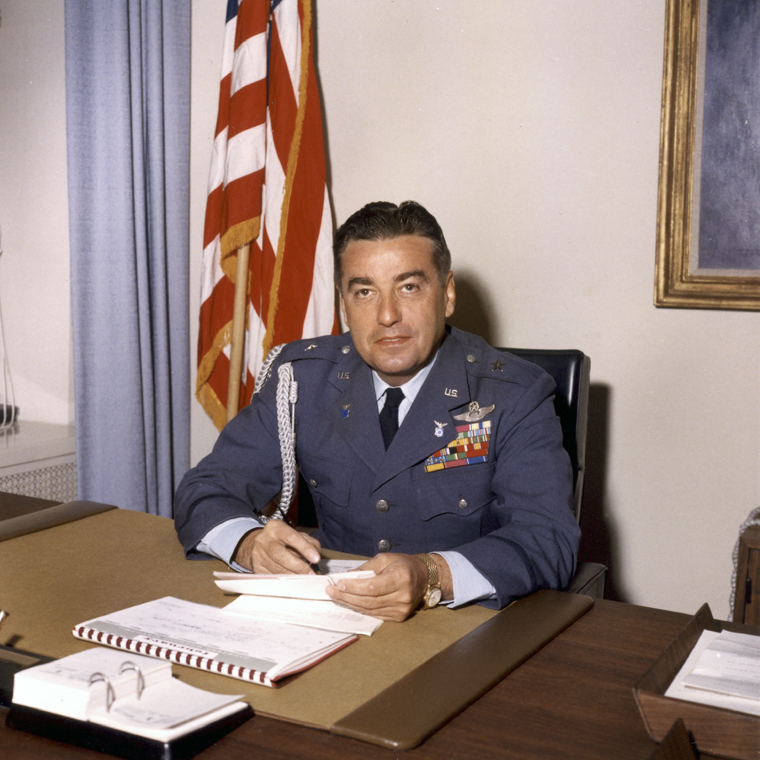 Godfrey McHugh was an officer in the United States Air Force and a briefing officer to JFK. He most notably briefed Kennedy the night Dag Hammarskjold’s plane disappeared into the jungles of the Congo. KN-C19962 01 February 1962 Brigadier General Godfrey T. McHugh, USAF, Air Force Aide to the President. Photograph by Robert Knudsen, White House, in the John F. Kennedy Presidential Library and Museum, Boston.